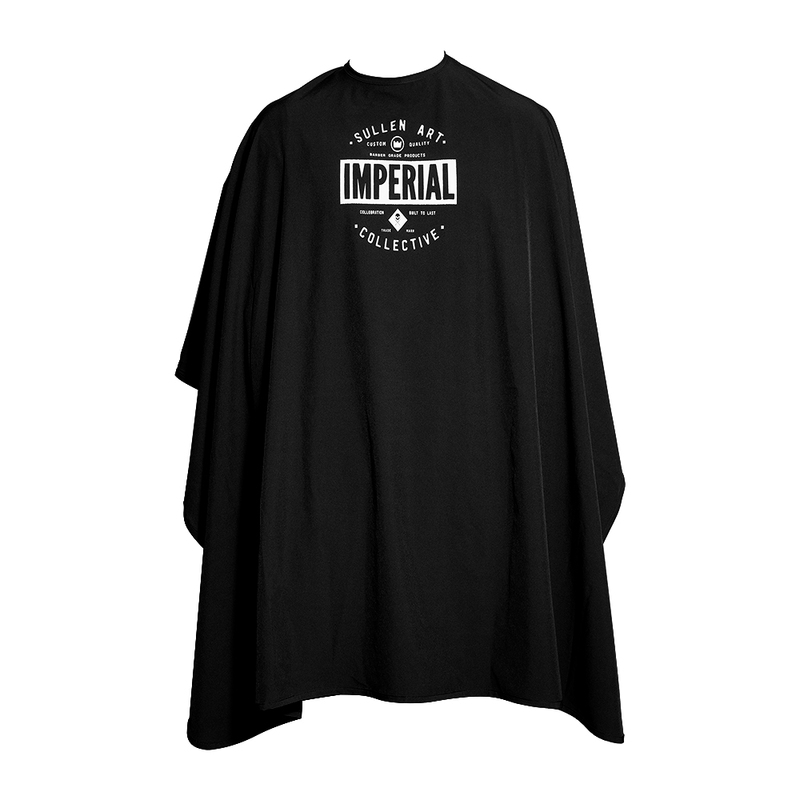 The LIMITED EDITION IMPERIAL x SULLEN ART COLLECTIVE BARBER CAPE is made by barbers for barbers, made to work, built to last, and made for the tattoo aficionado. 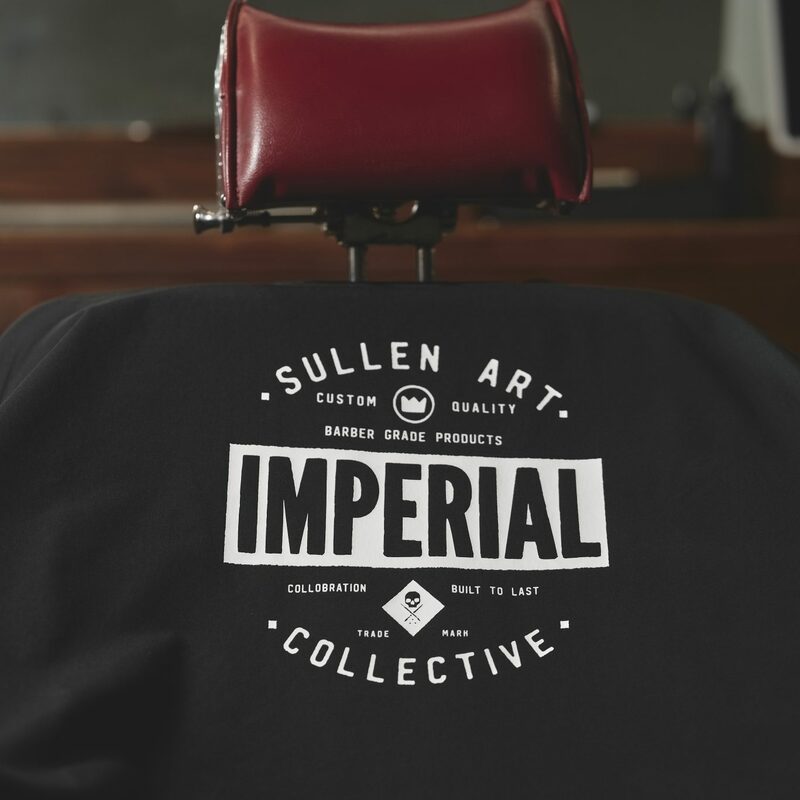 Featuring hand-drawn artwork from Ryan Smith, co-owner of Southern California-based tattoo lifestyle brand Sullen Art Collective, this limited edition barber cape was designed and developed in collaboration with Sullen and the first to ever feature a breathable four-way stretch quick-dry water-resistant polyester-spandex blended fabric. What does all that mean? 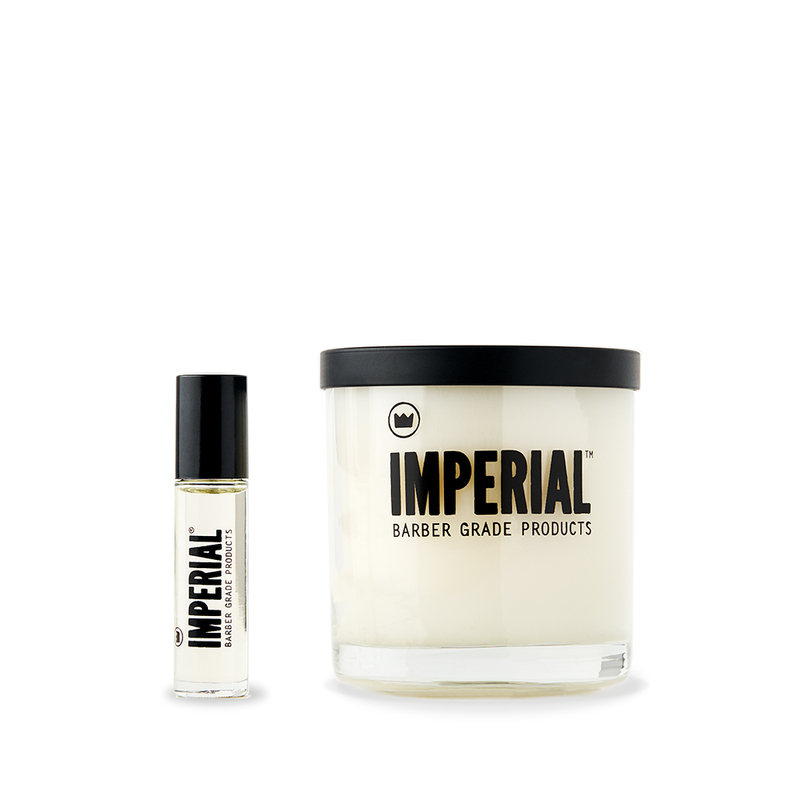 We took our inspiration from the surf and skate industry (after all, we are from Southern California) and incorporated materials made to take a beating and handle the elements yet dries quickly and breathes well, so your customers aren’t drenched (in sweat or water) while sitting in the barber chair. 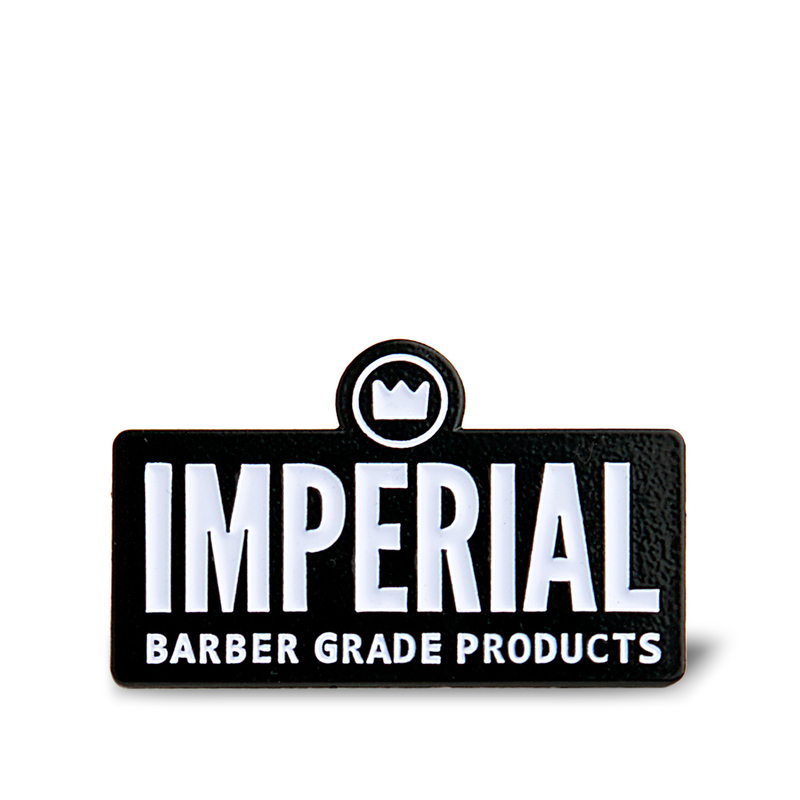 Some of the other smaller details of this premium utility barber cape include: the Imperial logo heat printed on the front of the cape, double stitched sewn seams for added durability, sonic welded rubberized Imperial label, and rubberized snap closure buttons – for the times you’re heavy-handed with the spray bottle. 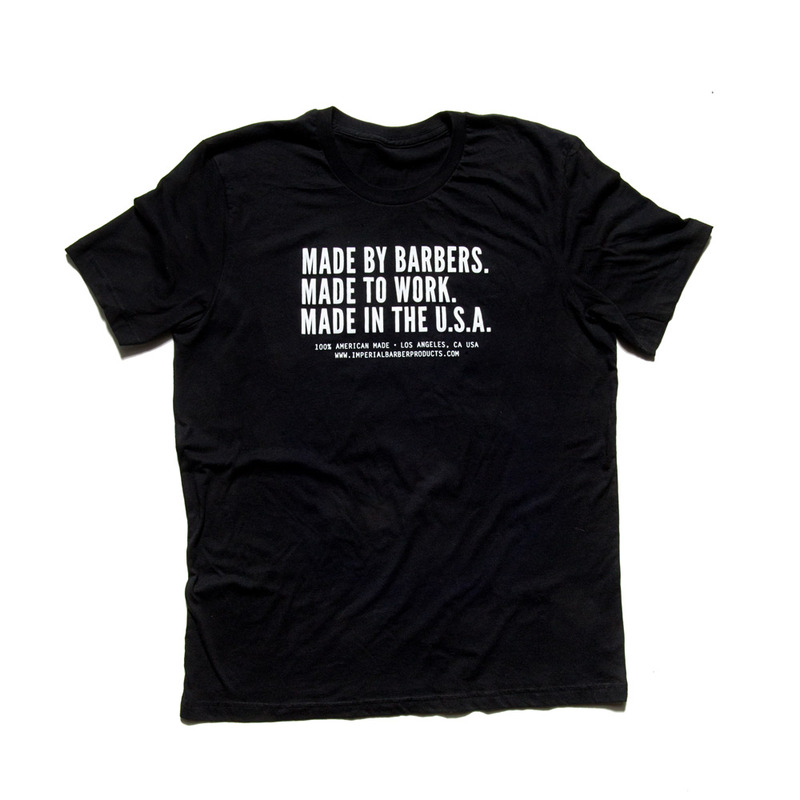 Barbers and stylists – this is the last cape you’ll need for a long time. 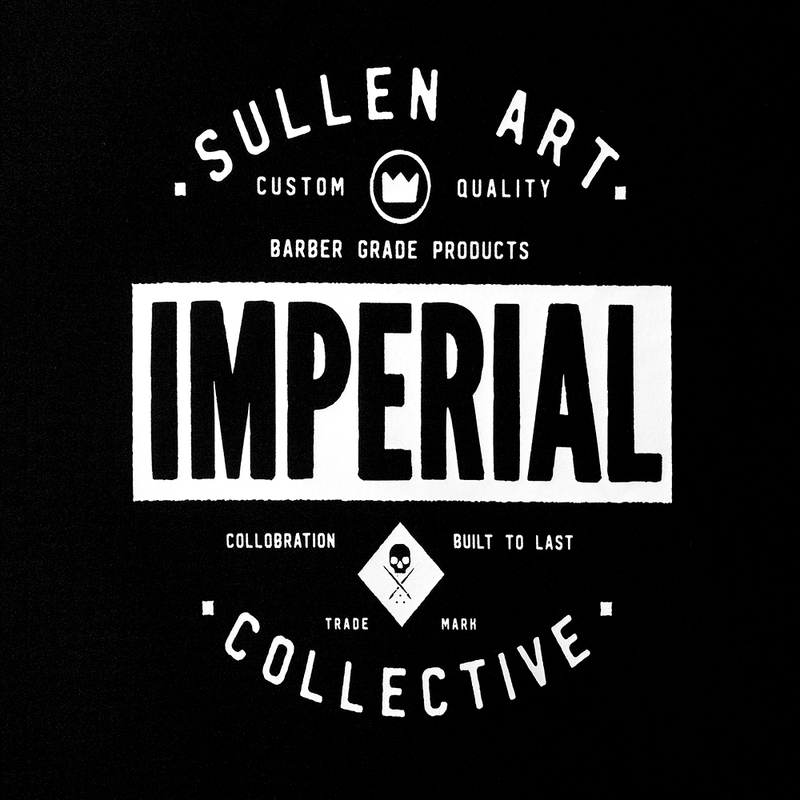 The STANDARD EDITION of the IMPERIAL x SULLEN ART COLLECTIVE BARBER CAPE is also available.